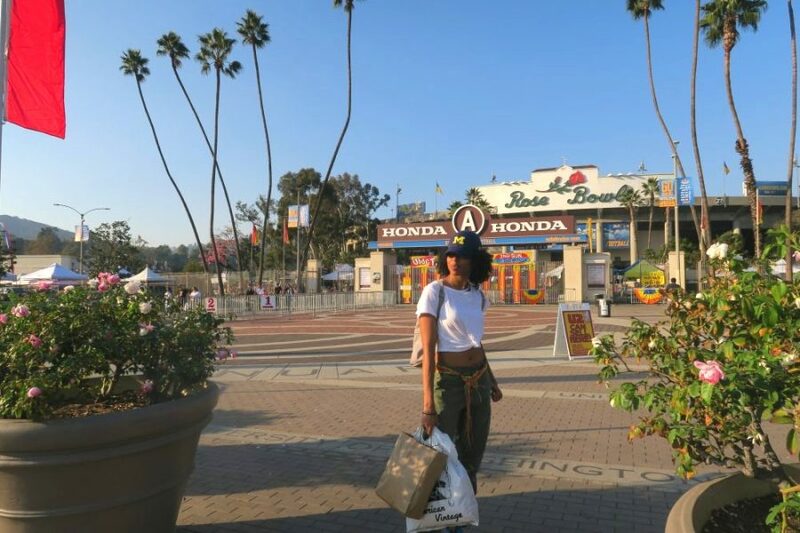 I finally made it to LA to hit up the Rose Bowl Flea market. 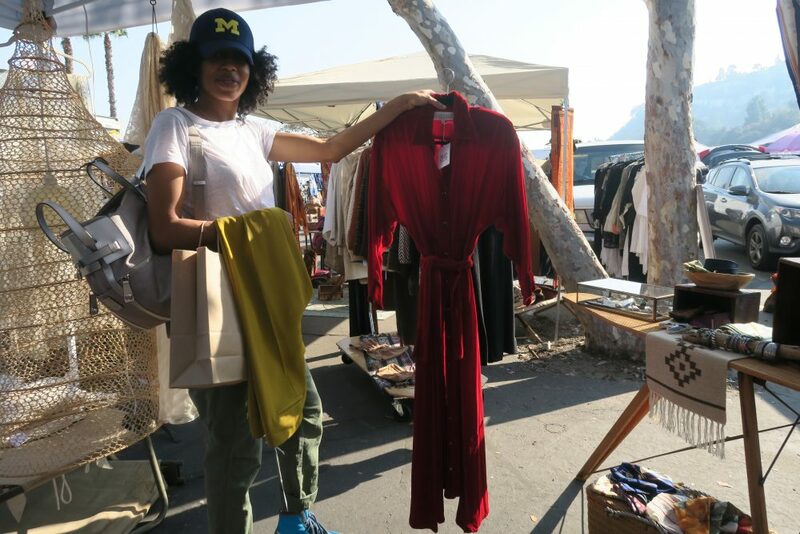 I’d been wanting to go for a while after seeing pictures of what appeared to be the mecca of all flea markets. 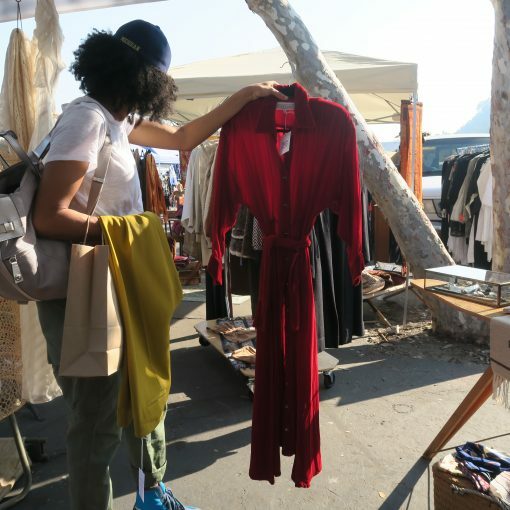 It looked massive with vendors of all types and sizes, selling everything (mainly used, vintage, antiques) under the sun. I wanted a part of that! Entering the grounds, I immediately felt like a kid in a candy store. There was merchandise as far as the eye could see. 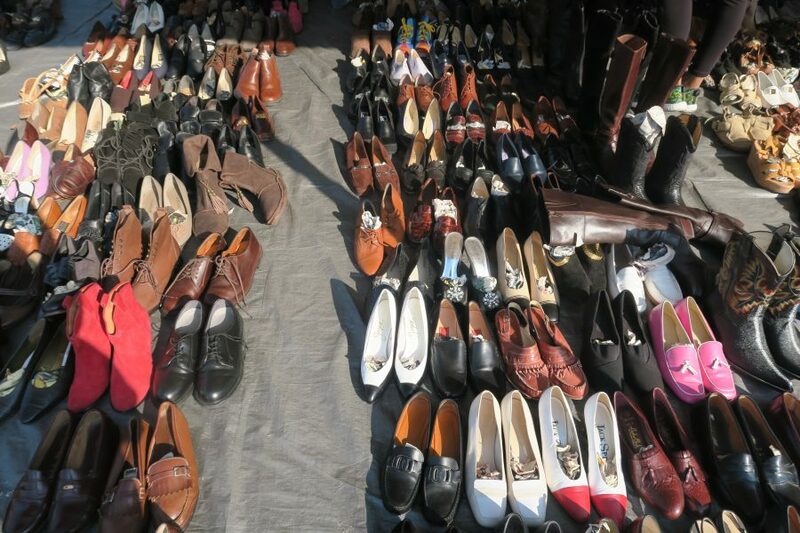 In fact, there are over 2500 vendors and this market is one of the largest in the world. It’s easy to get overwhelmed. These are my tips to negotiate for the items you like, without overspending and getting too flustered in the process. Examine the items you’re interested in. If there is wear and tear above and beyond what you think is reasonable for the item, then ask for a dollar amount off. For example, I found a sweater that had a couple spots on it but, otherwise, was in good condition. Because the spots looked permanent, on an otherwise good sweater, I figured the vendor would agree with me that the spots qualified as imperfections and this would justify a discount. Note: This strategy tends to work better for items in good condition. It doesn’t necessarily work for items that are in average condition or below. Use your best judgment! If you intend to buy more than one item from a vendor, then negotiate a lower price. Let’s say there is two pair of shoes selling for $20 each, the offer to pay $30 for both instead of $40. Decide what an item is worth to you and cement that as your walking away point. 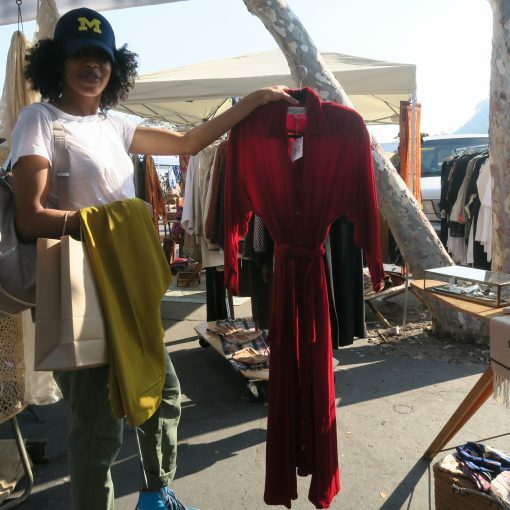 If you’ve made up your mind that you’re going to pay no more than a certain price for something and the vendor doesn’t want to meet you at that price, then be comfortable walking away. Sometimes they will chase after you and counter offer or – better yet – meet you at your price. 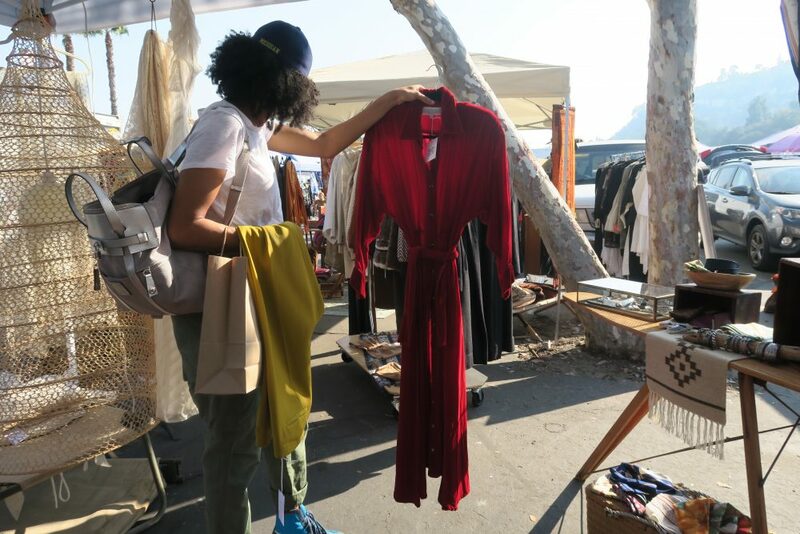 Cash is still king, including at the flea market! Vendors are more willing to negotiate when you pay cash because running credit cards requires extra steps (and tacks on fees) for them to process. 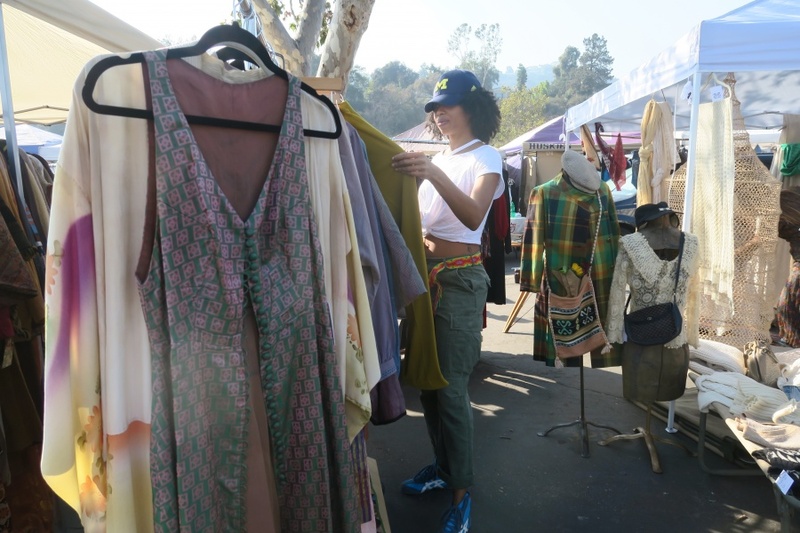 Going to the market when it first opens or when it’s winding down allows you to get a vendor’s undivided attention so that you can more easily negotiate. I prefer to go later, a few hours before closing, because the vendors are more anxious to sell their wares to avoid having to repack them and take them home. In other words, they want to get rid of stuff! 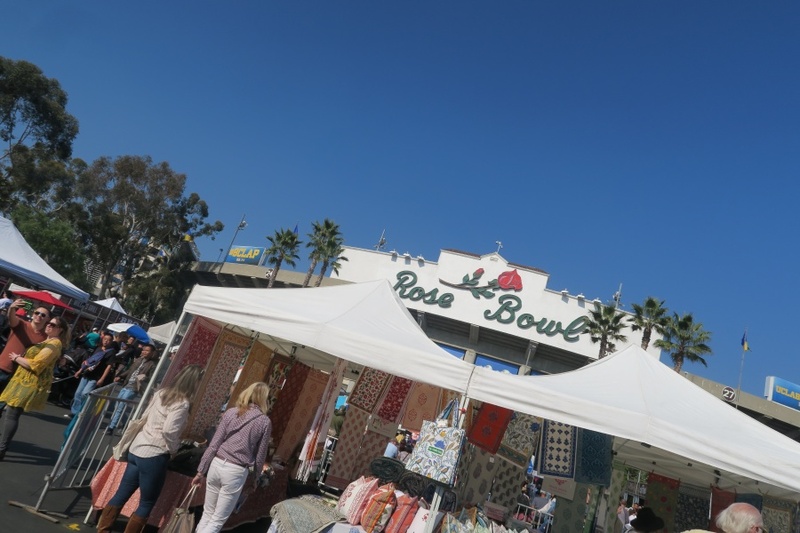 Have you been to the Rose Bowl Flea Market? Drop down in the comments with tips, recommendations, or questions. Never miss a post or video! No spam, promise.